At Tavcor we are constantly striving for the highest quality workmanship and a Tavcor family experience and we will continue to deliver excellence through our committed service to you, our customer, at our state-of-the art dealerships. We at Tavcor believe that a customer is not completely satisfied unless they can say that they have had a 10 out of 10 experience, every time – and we won’t settle for anything less. Together with our professional Service Advisors, and our highly qualified Tavcor Service Team, we are able to interpret your needs and ensure you receive the highest standard of customer care. The Service Advisor is your connection to a successful service interaction and will explain all the service details to you and guide you along the way. Important checks to ensure you stay safe on the road. It is important to have your tyres checked regularly. Keeping your tyres in optimum condition ensures that your safety and the performance of your vehicle is not compromised due to unsafe tyre wear and tear or damage. 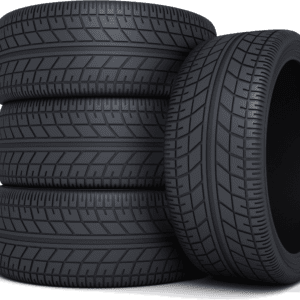 At Tavcor, we stock and fit the best tyres suited to your specific Volkswagen vehicle, which can be conveniently fitted while your vehicle is serviced. We’ll get you back on the road, safely, in no time. Today’s modern vehicles have increasingly complex and advanced suspension systems that need to fulfil the requirements of comfort, sporty performance and especially road safety. The incorrect wheel alignment causes excessive tyre wear, impairing the safety of the vehicle. You should have your wheel alignment checked by a qualified workshop if the tyres show excessive wear. It is recommended that you have it done every 10 000 km. 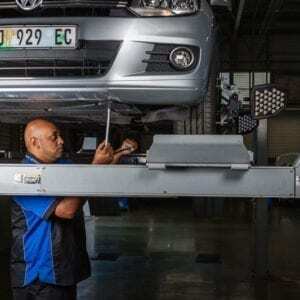 To ensure that our Volkswagen customers’ vehicles are configured to the correct specifications, we have installed a state of the art wheel alignment, tyre balancing and tyre fitment facility. All premium features, such as Park Distance Control, Active Cruise Control, Parking Cameras and Lane Assist, are maintained by our specialised equipment. Your vehicles brake fluid requires checking at every second service interval. Brake fluid is the liquid that when compressed, it commands the brake pads to clamp onto the brake discs for your vehicle to come to a stop. Brake fluid will gradually absorb water from the surrounding air, due to the fact that brake fluid is hygroscopic. The water content in the brake fluid causes corrosion on the inside of the brake system and can lead to a dangerous, spongy effect. Remember to have your VIN and registration numbers on hand when calling to book your vehicle in for a service. This will ensure a faster booking process. When your vehicle is booked in, we will gladly drive you to your next destination in the Port Elizabeth area. This is a free service in the morning. Alternatively, you can hire a vehicle from Tavcor Motorent at a reduced rate for loyal Tavcor customers. Please see inside for rental vehicle information.